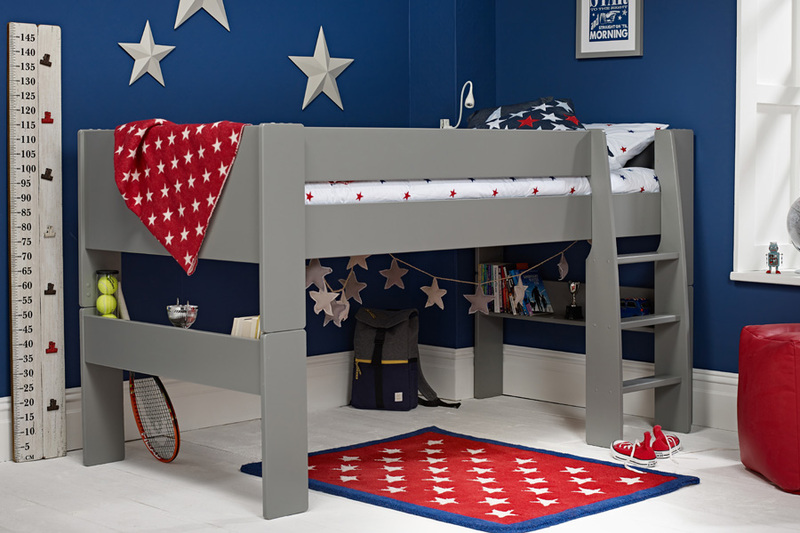 New to the Solitaire range, this Cool Grey Midsleeper will look striking in any boys bedroom. 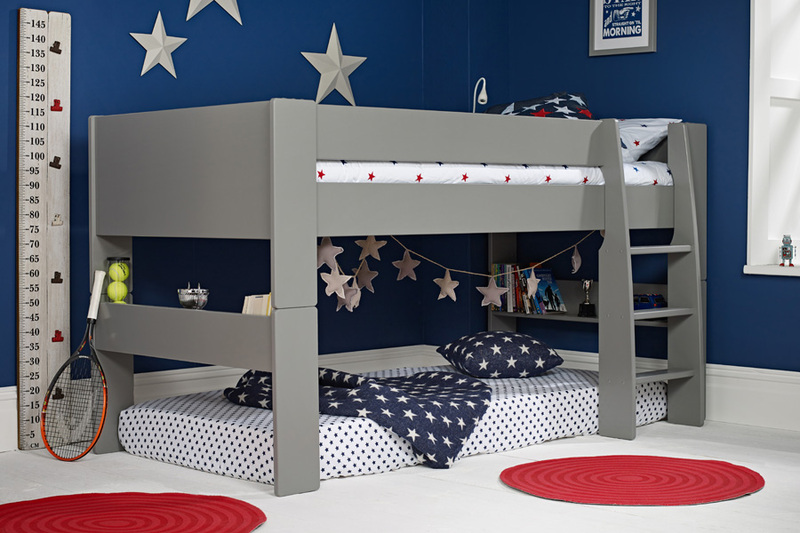 With it’s wide steps and contemporary design, not to mention the cool grey finish it is a bed to be proud of. With plenty of space under the bed for playing, storing toys or to house a mattress for the occasional sleepover, it really is a great choice. Very difficult to put together, some damage (good solution offered by Room to grow), and the little caps that go into the screw holes don’t fit properly and keep popping out. 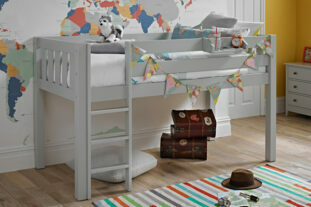 I also find the bed slightly wobbly. Good for the price I guess but I expected a bit more. Thank you for your response. I am sorry to hear you had some damage but it’s great our team sorted this out for your efficiently. 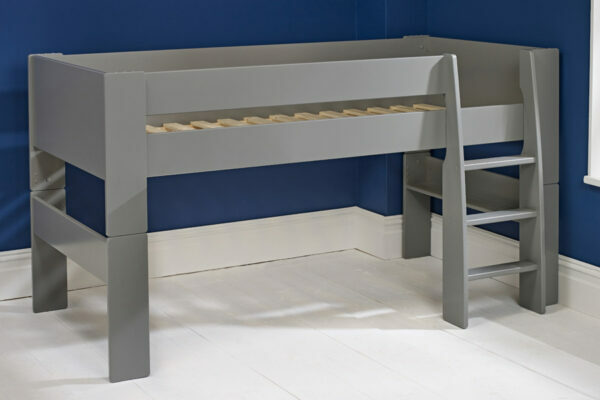 If you do require anything further like new cover caps or further advise on your bed then please email the support team and they are more than happy to help. Best Wishes Anne.